Washington and Venezuela’s ties are further frayed as Miami consul general is expelled from the country. President Obama’s authorization of the expulsion of the Venezuelan consul general from the consulate office in Miami has further deteriorated relations between the two countries. Although the Obama administration has not been explicit as to the reason for the expulsion, the action is within Washington’s legal right. This decision makes it even more apparent that Washington is unwilling or unable to implement policies that will constructively influence Latin America. The White House’s latest decision displays the hard truth that President Obama’s approach is to deal with left-leaning hemispheric regimes with a hard-line political agenda of ridicule rather than through constructive policy-making in the region. His administration’s attitude seems to be that no hemispheric issue has the potential to be a compelling factor in the next US presidential election. However, votes could be picked up from rightist exile groups coming from Cuba, Nicaragua, and Venezuela among other disaffected conservatives, who hold passionate thoughts on their personal political agendas. Iranian President Mahmoud Ahmadinejad arrived on Sunday night to Caracas in the first stop of a four-nation tour of Latin America. Besides Venezuela, the Iranian leader will also visit Nicaragua, Ecuador, and Cuba during a week-long tour of the region. Ahmadinejad’s visit comes at a critical time for Iran as it faces the possibility of new sanctions by the European Union over its controversial nuclear program. Tehran is widely suspected of trying to build nuclear weapons, but insists that its uranium-enrichment program is entirely medical and scientific in nature. Hence, the Iranian leader’s visit is a way for Iran to gather and maintain some international diplomatic support. 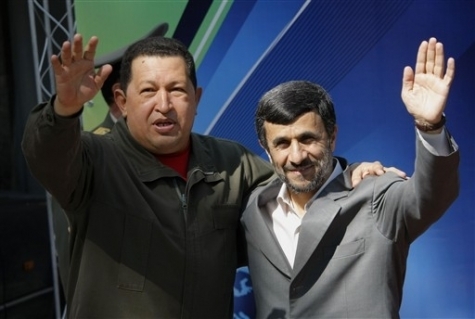 It is no surprise that the four countries that Ahmadinejad will visit are the most vociferous in their anti-Washington rhetoric and initiatives, particularly Venezuelan President Hugo Chávez and the Castro government in Cuba. Ecuador’s relatively under-developed and all-but-unprecedented diplomacy, along with Rafael Correa’s chronicled rambunctious attitude, have been at work to help stage this relatively noteworthy visit by the Iranian president. By warmly receiving him, the Correa administration will again demonstrate its two-fold mission: first, to show the United States that Ecuador does not share its international political position, and second, that the eight-member ALBA alliance is alive and well. Correa has not outwardly expressed any concern over Washington’s apprehension toward the largely left-leaning alliance, which was founded by Venezuelan President Hugo Chávez, with whom Correa shares many ideological beliefs. Iran has something to gain by fostering good relations with countries even of secondary importance in the international context. Ecuador, on the other hand, has a lot to lose in this relationship, as it is consistently walking the tight rope between maintaining narrow commercial ties with the all-important U.S. market and staying as far away as possible from what Quito calls U.S. hegemony and imperialism. It is well-known among some of the better-informed Ecuadorians that the current Iranian government has a history of notorious human rights abuses and multiple attempts to strain legality by remaining in power, a fact which has fueled the Ecuadorian opposition’s unfair equation of Correa and Ahmadinejad in this regard. The Ecuadorian government is defending Ahmadinejad’s visit as an act of sovereign will on its part; of course, there is no need for an Ecuadorian head of government to ask for permission to hold such a meeting. Reportedly, his visit to Ecuador will provide an opportunity for the governments of Iran and Ecuador to address issues of bilateral cooperation, politics, trade, and health, among others. Of some importance, this will be the first time that a good number of these areas of concern have been addressed in any meaningful discussion between the two countries. Arturo Valenzuela, U.S. Secretary of State Hillary Clinton’s former right-hand man in dealing with Latin America, spoke to President Correa last week about concerns in Washington over Ecuador’s relationship with Iran. Correa’s response fell under the category of defending a pragmatic foreign policy. El Universo reported the President as saying, “Ecuador is willing to maintain amicable relations with all countries. If that means selling Iran more bananas, even better.” But any analysis of President Ahmadinejad’s Latin American tour must raise the important point that Brazil, another ally and growing international actor, has curiously been left off the itinerary. 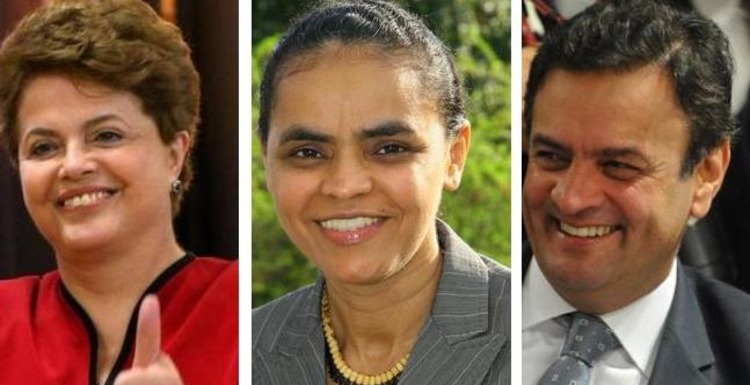 While Brazil was not one of the countries scheduled for a visit, important developments have been occurring in Washington’s relationship with Brasília, which eventually will affect the latter’s relationship with Tehran. After decades of taxing foreign ethanol, the United States government decided to open its market by allowing the federal tariff to expire on December 31, 2011. Previously, foreign ethanol producers had to forfeit USD 0.54 in taxes per gallon of ethanol exported to America. In addition, Congress passed the country’s federal spending bill without renewing the VEEC subsidy that would have been granted to national ethanol producers. Brazil would be quite interested in this change, as it is the biggest sugarcane ethanol producer in the world. The measure represents a big win for Brazil’s ethanol industry, which seeks to maximize its production and exportation to the United States. Marcos Jank, President of UNICA (Union of the Sugarcane Industry), Brazil’s biggest representative of the sugar and bioethanol market, expects an increase of 12 billion liters of ethanol exported to the U.S. until 2020. The new arrangement will strengthen Washington’s leverage over the country, and weaken the tidal tug of Iran’s pull on its Brazilian ally. President Ahmadinejad will be visiting the host governments of Nicaragua, Venezuela, Ecuador and Cuba. The fact that he hadn’t canceled the trip as a result of the heated statements being currently made by both the US and Iran indicates the sobering thought that the situation is less fraught with danger than it first seems, and that neither side will permit the current fractious situation to get out of hand. The fact that he is undertaking the trip despite the fact that Cuba, Ecuador and Nicaragua will not provide a notable venue for transformative talks, no truly important geo-political decisions are likely to be made, and no block-buster developments are anticipated as a result of the trip, reflects its symbolic nature. Although both Fidel Castro and Chavez at times have resorted to heated and intemperate language in reference to the US president, the Venezuelan leader by no stretch of the imagination is a Pinochet-class dictator. While he may have sorely tested the spirit of the Venezuelan Constitution, he has not, up to now, represented any threat to its letter. The sad fact is that President Obama obviously hasn’t given any serious thought to the issues effecting US-Latin America policy, nor has he appeared to have any compelling notion of its importance. Latin America has been experiencing a profound historical transformation. The US response has been uninspired and devoid of any creativeness or a willingness to seek opportunities to come forth with a truly relevant regional policy since the Obama administration commenced. Washington’s mano dura tactics towards Cuba and Venezuela represent a grave disappointment with the timeliness and relevance of Obama administration policy. Clearly the administration is being driven by opportunism, self-interest and pandering to the basest of political motives, if not by high-minded ideals. Rather than take advantage of the unique historical opportunities provided by Raúl Castro’s extraordinary reforms by putting them to the test, President Obama and Secretary of State Clinton have been content to depend upon diplomatic clichés and ideological bromides. Today the White House is far more prepared to make major concessions to Iran and North Korea in order to avoid the diplomatic conundrums with those countries, than deal with a much more democratic Venezuela. US-Latin American policy has to be rescued from the dead-end zone in which it is now found. Clearly, the Obama administration’s stance has mostly to do with the issue of new beginnings and the sterile politics of hope and change that the President defined in the days that he was running for office, but never came to pass. There is no reason to believe that he will be able to kindle excitement and enthusiasm for a strategy that never had any prospects concerning US-Latin American policy. The truth is that Obama’s regime policy is all but indistinguishable from that of the last Bush administration. To explore previous COHA analysis on Iran – Latin America relations, please view the references below. COHA Guest Scholar J.A. and COHA Research Fellow Alex Sanchez, The Mottled Relationship: Iran and Latin America – A Brief Overview, September 27, 2011. COHA Research Associate Geoff LeGrand, Bienvenido Señor Ahmadinejad: Tehran’s Expanding Latin American Grid, December 2, 2010. COHA Research Associate Manasi Raveendran, Brazil’s President Lula Out of his Depth in Iran, June 7, 2010. COHA Research Fellow Braden Webb, Paraguay’s Persian Presence: Iran’s New Friend in Latin America, August 21, 2008.